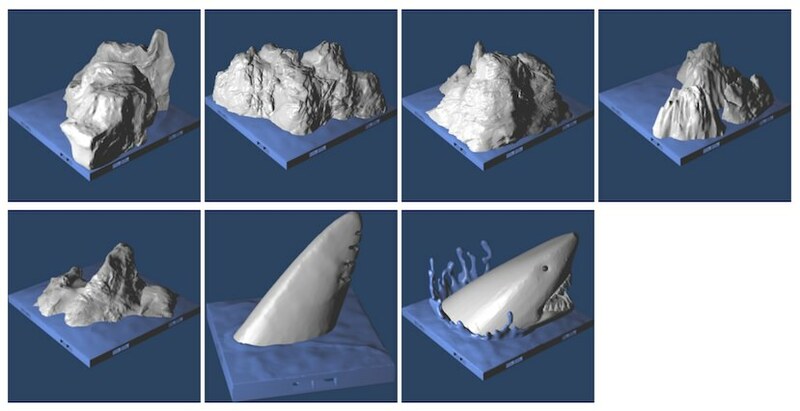 Finish off your harbor with this selection of 7 models including five giant rock formations in the water, an ominous dorsal fin, and Sharky McSharkFace himself! Models are delivered in STL format and DragonbiteTM-compatible. * Thanks to Jacob Armour for the painted shark featured on the cover!